Despite dominating another Premier League fixture, Everton were unable to secure a first League win of the season, as a poor refereeing performance ensured this game ended goalless. 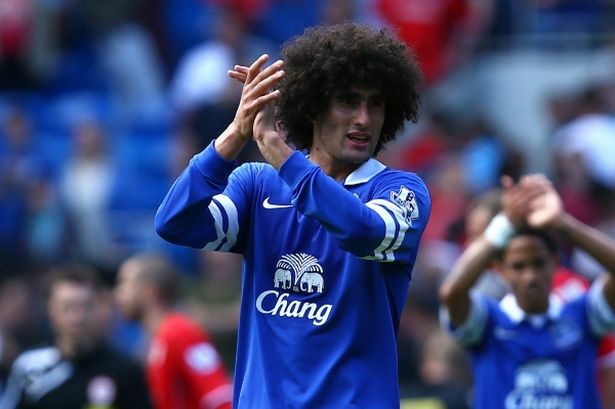 For the third consecutive league game, Martinez named an unchanged team, with Marouane Fellaini and Leighton Baines both starting despite continuing links to Manchester United. After weathering an early storm, Everton dominated the first half, pushing the Welsh side back and creating a number of half chances that the Blues failed to take. Kevin Mirallas was twice the guilty party, missing the target with two clear headers after good work by Baines and Pienaar on the Everton left. The main talking point of the match arrived shortly before half time. Leighton Baines powered into the box, skipping over one challenge before Gary Medel pulled the England full back down in the box. A clear penalty, witnessed by everyone in the ground, except it would seem, the three officials. The second forty-five was almost identical, with Everton controlling possession, but as with the West Brom fixture, they lacked a cutting edge, or the tempo to open the Cardiff defence who were more than content to encamp on the edge of their own penalty area. Martinez made a couple of changes to try to positively influence the outcome but Arouna Kone failed to make an impact and although Gerard Deulofeu looked dangerous and threatened more in 5 minutes than most of his team mates managed in the whole game, his introduction came too late to make a difference. Another frustrating afternoon and it promises to be an important 24 hours as Martinez tries to make the signings that add a clinical edge to his team.